Very good circuit training,! Outdoors was good. And trainers were friendly and good! 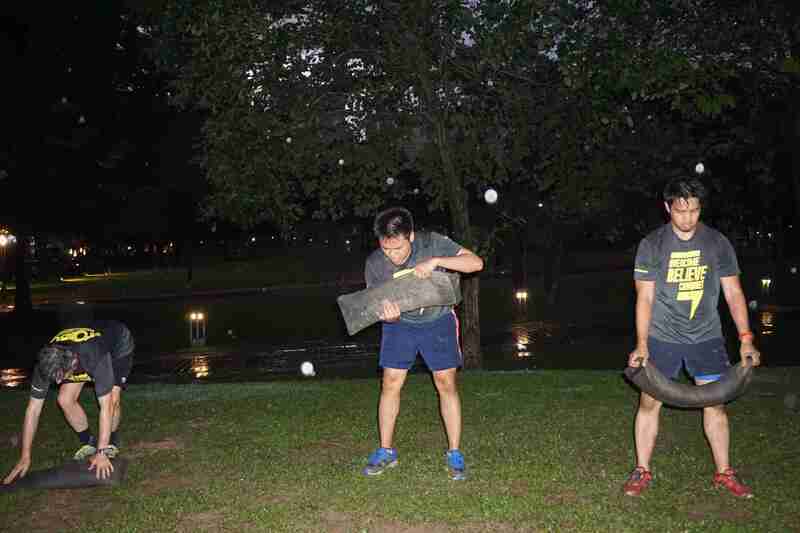 Bootcamp @ Padang Merbuk. Today is OBC Padang Merbuk free trial day, bootcamp with some kids below 9years old, they are strong :) Total have 32 participants. 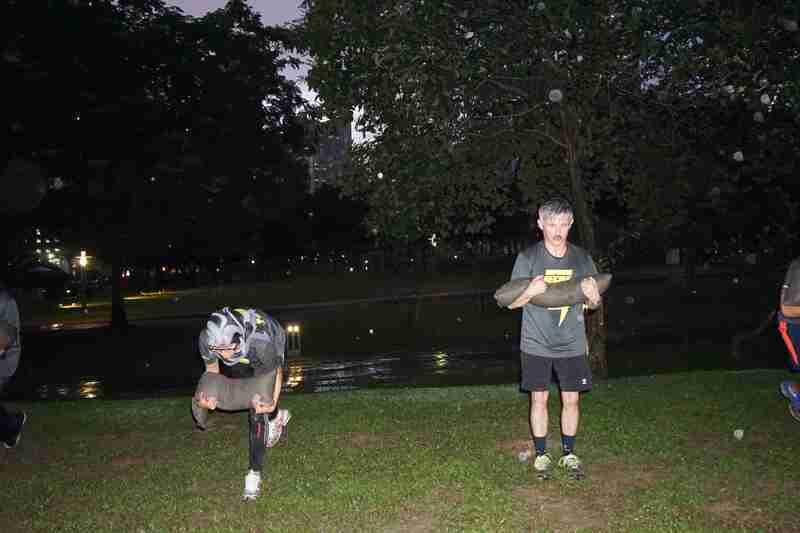 Did some bear crawl, burpee, frog jump push up, squat, staggered push up, up and down plank, jumping jack and run. Trainer was great. Group was great. Energy was great. Super awesome workout! Great instructors and awesome team mates!! Good coaching. Love the workouts. Really drill you down to every last breath. Fun and challenging! Coach guiding through out the workout properly, motivating and pushing each individuals to their limit, competing with other teams. Super tiring but very satisfied after the session. Session was tough but I truly enjoyed it. 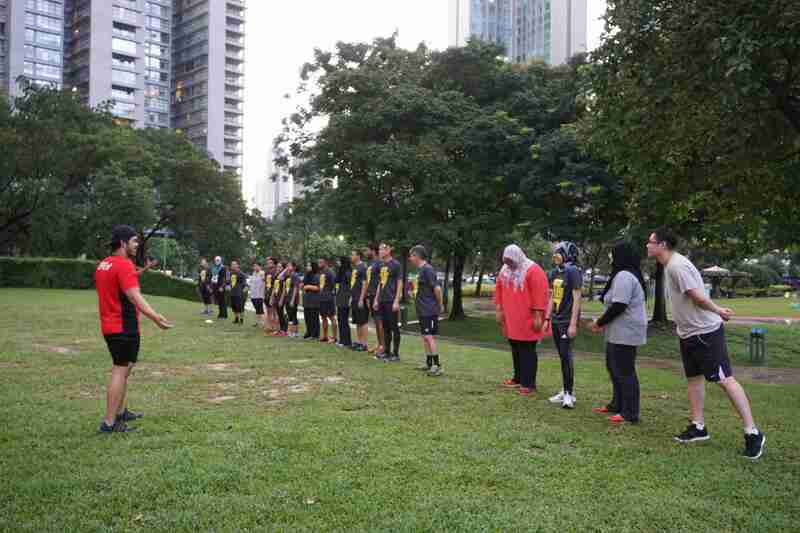 Both coaches were great and the other bootcampers were really helpful. Will go again! the instructor is prepared and professional. Awesome experience. It was a seriously beasting session but felt like a million bucks. Instructors are very good at motivating. One of the best bootcamps I've been to in a while. Everyone is friendly and keep on motivating each other. But prepare yourself because it's gonna be an intense work out and your body gonna be in serious soreness the next day but believe me, it's all worth it! my body ached until Saturday. 10/10 would do again. 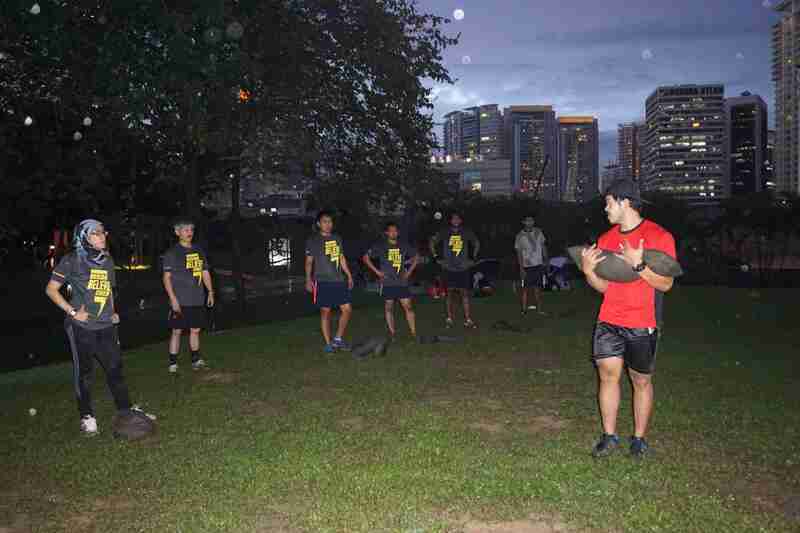 Outdoor group workout at Padang Astaka. 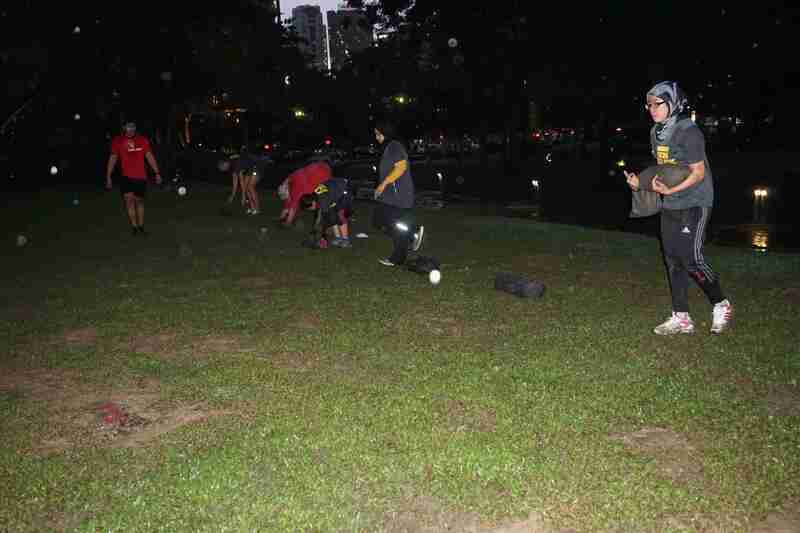 10 mins warm up, jogging, fast paced exercises. 30 mins workouts, sandbag run, sandbag high pull, sandbag thruster, sandbag squat, bar plank pushup, bar pullup for 3 rounds. 5 mins friendship twisting sit up. 5 mins static stretching cooldown. 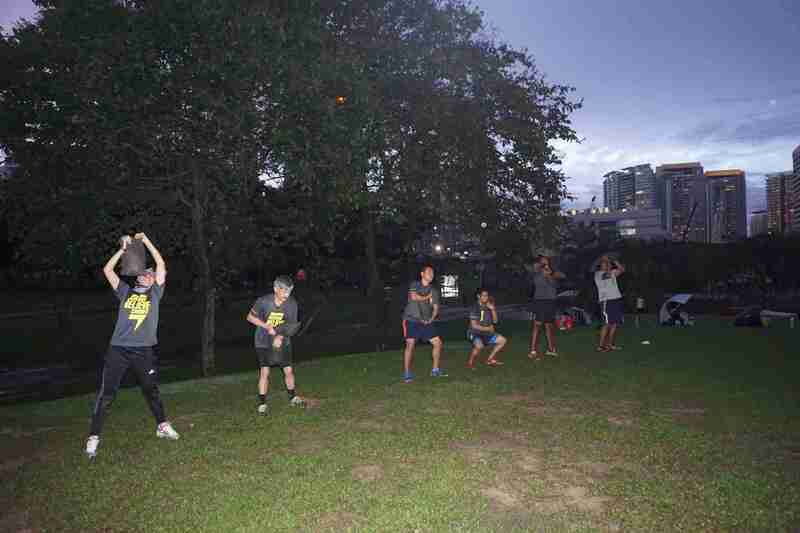 Outdoor group workout. 15minutes warm up in 2 person team. 40minutes 3 person in group to groups competition 3 different station workouts for 4 rounds. 5minutes static stretching cool down. good session. Instructors make you feel comfortable especially first timers. Very good session! Will definitely do it again! my no.1 pick for kfit. hope you can increase the entitlement from 3 to 5. lols. love the coaches. tough guys. Intense training, would totally do it again. 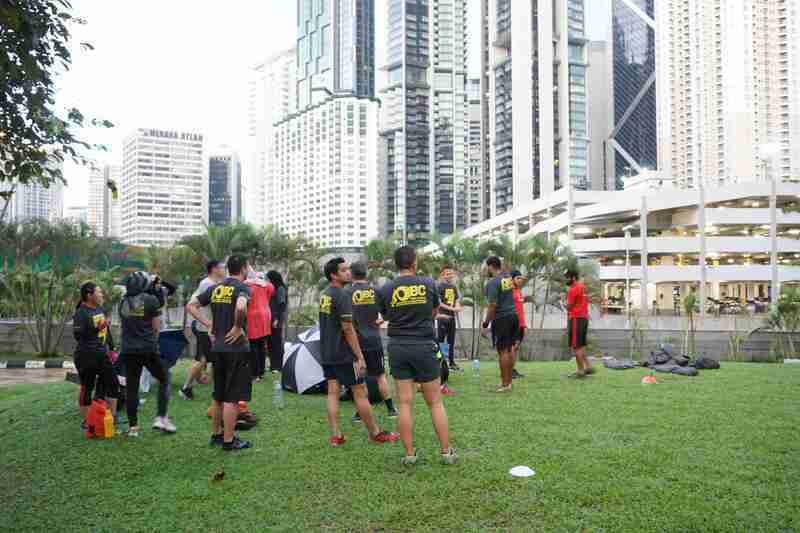 We are an outdoor-based group fitness training system; the first of its kind in Malaysia that offers a creative infusion/blend of heart-thumping HIIT (High - Intensity Interval Training), Kettlebell-inspired concepts and bodyweight drill progressions that are structured on the scientific principles of strength and conditioning. Here at Original Bootcamp we guarantee results every time.